GSMA's February special event will feature a nighttime Owl Prowl led by Kevin Burke on Saturday, Feb. 23. The program meets at 7 p.m. at Rainbow Falls Trailhead. Kevin, a Gatlinburg Nantahala Outdoor Center staff member says he has not missed a day of birding since taking his first ornithology class in southeast Ohio 13 years ago. One of his favorite birding experiences was serving as a sightings coordinator for the local chapter of the Audubon Society in Washington State, where he led trips to see burrowing owls. The program fee is $5 for GSMA members and $10 for non-members. There is no fee for children ages 10-12; however, we do ask that children be 10 years of age or older. 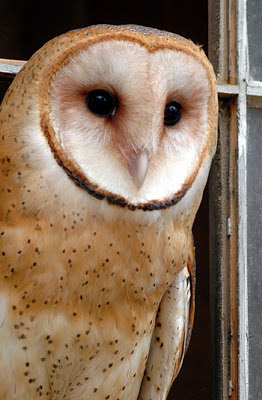 The event is limited to 20, so call early in order to enjoy prowling for owls. Call 865-436-7318, Ext. 325 for Lisa, Ext. 222 for Judy, or Ext. 254 for Marti to make your reservation. A modest increase in camping fees has been proposed for the year round Wilderness Road Campground in Cumberland Gap National Historical Park. This is the only campground in the park that allows vehicle access, and provide bathroom and shower facilities. Camping rates for sites without electricity would increase from $12.00 to $14.00 and sites with electricity would increase from $17.00 to $20.00. Sites would be one half price for those having an Interagency Senior or Access Pass. Group campsites would increase from $30.00 to $35.00. 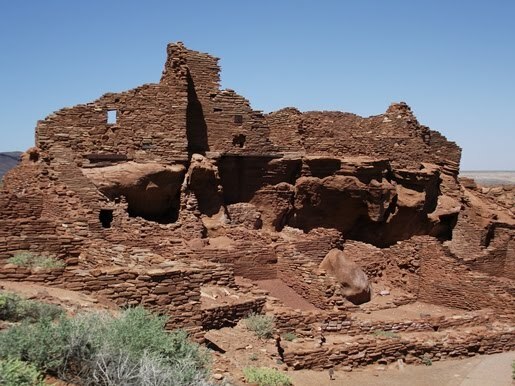 A public meeting to seek public input and outline these increases is scheduled for Tuesday, February 26th from 2 p.m. to 5 p.m. at the national park visitor center. Visitors can also provide comments via the park's web site: www.nps.gov/cuga or send comments to Cumberland Gap National Historical Park, 91 Bartlett Park Road, Middlesboro, KY 40965. Comments are to be received by the park no later than March 15th, 2013. Park Superintendent Mark Woods explains the camping price increases as the first since 2002. He further spells out that "a comparability study, involving local state parks and private organizations with similar operations was conducted and that price increases would bring Cumberland Gap more in line with the price structure of the local community and the businesses that are similar in nature to the park's. This price adjustment would remove any possibility of the park unintentionally undercutting local and regional businesses." Woods notes a list of major improvements made over the past ten years to the 160 site campground which is enjoyed annually by an average of 103,395 visitors. "In May 2012, we completed a six-month $861,690 project which involved the installation of new water and waste-water systems within the campground. This was essential to improve the efficiency of park operations by reducing maintenance costs and costs related to deficiencies in the condition of the existing systems, provide a safe and healthy environment for both visitors and park staff, remove a potential source of surface water contamination and protect park natural and cultural resources and values. The new system includes 4000 linear feet of leach field trenches, four new septic tanks, new sewer pipe throughout, and eight new sanitary manholes. Six monitoring wells were also installed around the leach field. Flow meters were installed to more accurately monitor the water usage at each comfort station." "Additional enhancements over the years include the upgrade of electrical sites to include 20, 30, and 50 amp service. The campground's three comfort stations have been completely renovated for improved accessibility and to also provide for families with children. The campground contact station has been retrofitted into a camp store managed by park partner Eastern National. The campground amphitheater has also been renovated to allow for multi-media and music programs. New picnic tables, fire rings, and improved signage have been added to individual sites. Accessibility has been improved at specific sites throughout the campground. 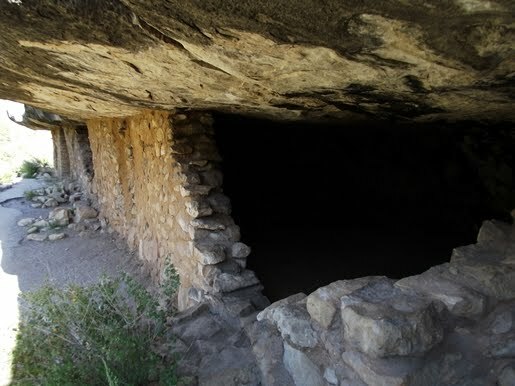 Bulletin cases, wayside exhibits, and improved signage have been added to enhance visitors' experiences and to alert them to other recreational opportunities within the park. Total cost of all these improvements is close to 1.5 million dollars." For more information about Cumberland Gap National Historical Park please call (606) 248-2817. Great Smoky Mountains officials announced today that work is progressing to repair the landslide which has closed a section of Newfound Gap Road (U.S. 441) within the national park. Two key steps are already underway to initiate the reconstruction of the road. A contract has been awarded for the first phase of work to APAC – Atlantic, Harrison Division to develop an access road to the slide area, remove debris, and stabilize the slope above the work area. This phase is estimated to cost around $200,000 and will prepare the site for the second phase of work which will involve a complete reconstruction of the roadway. This first phase began on January 28th, and is expected to be completed in a few weeks. The contracting piece for the second phase, involving the actual road reconstruction, was initiated on Friday January 25, when Federal Highways Administration (FHWA) posted a pre-solicitation for qualified contractors with interest in repairing the landslide. The contract for this phase of work is estimated to cost between $3,000,000 and $7,000,000, and is expected to be awarded by mid-February. Final construction work will begin soon after. The schedule of the road reconstruction will be determined by the information received in the solicitation package, but is anticipated to be complete by mid-May to early June. Newfound Gap Road will remain closed to thru traffic during the construction, but visitors are still able to access the park to Newfound Gap from the Tennessee side and to Smokemont Campground from the Cherokee entrance. In the meantime, visitors will still have access to Newfound Gap from the Tennessee side, and will be able to travel to the Smokemont Campground from the Cherokee entrance. The landslide occurred after a rain storm stalled out across the region. An in-park weather station near Cherokee, NC recorded 11.3 inches of rain between January 13th and January 17th. 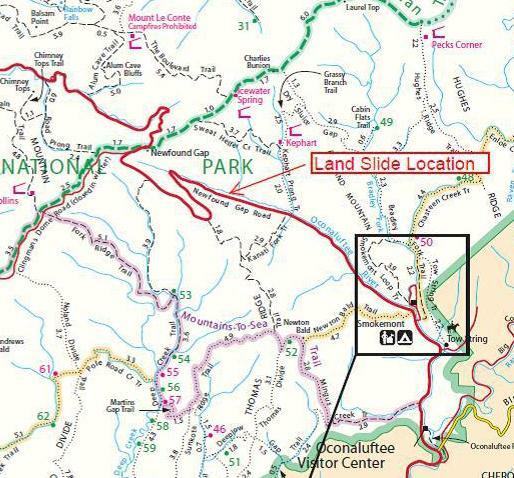 * Sliding Rock Recreation Area – Daily fee would increase from $1 to $2. Annual passes would remain at $25. Additional revenue is required to operate this extremely popular site, which often receives 1,000 or more people a day. Fee revenue will provide expanded hours for lifeguards and pay for the maintenance of a highly used site. Nantahala National Forest: The fee increases would standardize rates across the three shooting ranges. The fees are needed to address the maintenance needs and costs associated with increased visitation. The impacted sites include Dirty John Shooting Range, Moss Knob Shooting Range and Panther Top Shooting Range. Purchasing the annual pass will allow shooters to use all three ranges in Nantahala National Forest. 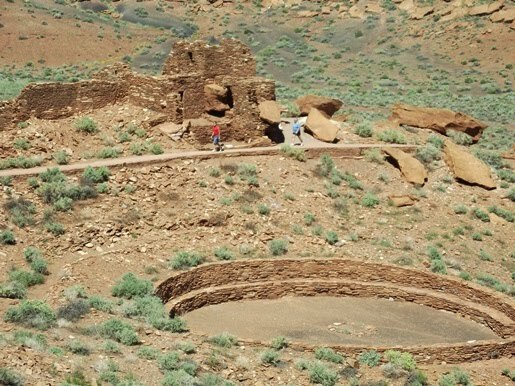 The Forest Service has made numerous improvements to many of the above-mentioned sites. While fixed costs have increased, recreation fees have remained static for a number of years. The fee increases would both be consistent with inflationary costs as well as ensure that fees are more comparable to similar public and private sites in their respective areas. All fee change proposals will be presented before a citizen’s advisory committee, called the Southern Region Recreation Resource Advisory Committee (RRAC). Committee members represent a broad array of recreation interests to help ensure that the Forest Service is proposing reasonable and publicly acceptable fee changes. Committee members will help ensure that the Forest Service addresses public issues and concerns about recreation fees. The public is welcome to attend and comment at all advisory committee meetings. The next RRAC meeting is expected to be held in spring 2013. The exact meeting time, location and agenda will be announced on www.fs.fed.us/r8/. 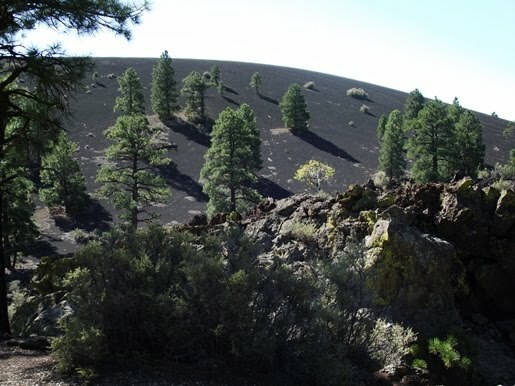 If approved, the Forest Service will implement the fee changes later in 2013. 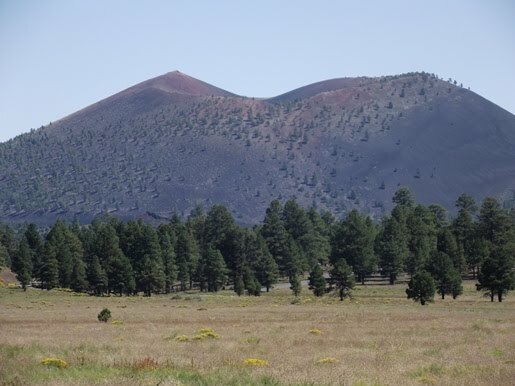 In 2004, Congress passed the Federal Lands Recreation Enhancement Act, which allows the Forest Service to keep 95 percent of fees collected at certain recreation sites and use these funds locally to operate, maintain and improve the sites. For more information on the fee proposals above, as well as other in the Uwharrie National Forest and Croatan National Forest, please click here. Comments can be sent to comments-southern-north-carolina@fs.fed.us through February 28. For additional information about any of these fee change proposals, please contact Delce Dyer, recreation program manager, at 828-257-4256. Over the last several years technology has been creeping into wilderness at an ever increasing pace. The latest technological innovation actually seems to be a really good idea. A company by the name of Nooly announced on Monday that they have released the world’s most localized and reliable weather app for iPhones and Androids. They claim the app is capable of predicting the exact minute it will rain or snow and can do so effectively, wherever you are, for every 0.4 square miles (1 square kilometer). 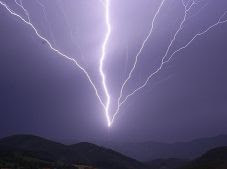 Nooly brought in two of the world’s top scientists in cloud physics and short-range weather prediction, Professor Daniel Rosenfeld of the Hebrew University in Jerusalem, and Professor John R. Mecikalski of the University of Alabama-Huntsville. Professors Rosenfeld and Mecikalski are widely recognized for their development in understanding and prediction of the evolution of clouds and storms, including hurricane and tornado formation. They have worked with a number of federal agencies, including NASA, NOAA, the FAA (Federal Aviation Administration), and the European Organization for Exploitation of Meteorological Satellites. Using their deep background and expertise, the Nooly scientific team has built a series of meteorological and physical algorithms that track and process, in real-time, data from two NASA / NOAA satellites, over 260 NOAA radars, and other meteorological sources. The result is Nooly, an impressive weather application that predicts, in 5 minutes interval, when rain or snow will start, get worse, and end. Nooly processes information for over 30 million locations throughout the United States and southern Canada, resulting in hyperlocal weather conditions for every road, park and point of interest. For the past year a live beta version of Nooly has been available for download in the US, achieving over 50,000 users, who have helped Nooly test and refine its hyperlocal predictions. The Nooly app is now available on iPhone® and Android™ for free. For more information, please visit www.nooly.com. Earlier in the week the Great Smoky Mountains announced that changes to its current backcountry reservation and permitting process will take effect on February 13th. With that announcement came several questions on how this will impact Appalachian Trail thru-hikers as they pass through the Smokies. 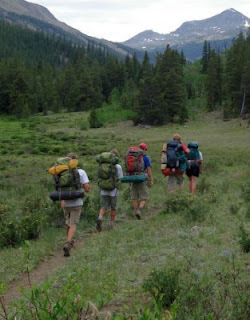 • Backcountry permits for A.T. thru-hikers will be available online at www.smokiespermits.nps.gov. • There will be a $20 charge for each permit. • You must have a permit before backpacking in Great Smoky Mountains National Park. • Permits may be obtained up to 30 days in advance of the date a thru hiker anticipates entering the Smokies. • Permits will be valid for 38 days from the date issued for an up to 8 day hike through the Smokies. All other thru-hiker regulations remain in effect. You may also get a permit in person at the park’s Backcountry Office (at the Sugarlands Visitor Center near Gatlinburg) or over the phone; with permits issued by fax, mail or email. For more information, please call 865-436-1297. Shelter Policy - Park regulations require that you stay in a shelter......From Mar. 15 to June 15, four spaces at each A.T. shelter are reserved for thru-hikers. If the shelter is full, thru-hikers can tent close by. Only thru-hikers are allowed to tent next to shelters, so they are responsible for making room for those who have reservations in the shelters. The Appalachian Trail Conservancy (ATC) Cullowhee 2013 Biennial, hosted by the five southern maintenance clubs of the Appalachian Trail, is currently seeking volunteers to assist during the event scheduled for July 19 through 26 at Western Carolina University. Volunteers are needed to lead hikes, register guests, support workshops, distribute information, and assist with parking, camping, and reception coordination. Volunteer shifts range from four-hour shifts to full-day commitments and are welcome anytime during the week. All volunteers will receive a t-shirt and are invited to attend a special volunteer reception on Monday, July 22. “Volunteers have always been critical to the Appalachian Trail Conservancy’s operations, and these events are no different. We need volunteers to make it a success,” said the event Steering Committee Chair, Lenny Bernstein. The event will feature hundreds of organized hikes on the Appalachian Trail and other western North Carolina trails. 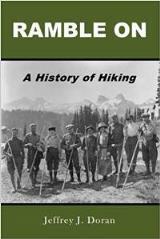 Attendees will also have the chance to learn about hiking, gear, history, and Trail maintenance techniques, as well as have the opportunity to meet new people who are passionate about the Trail and its management. The ATC was founded in 1925 by volunteers and federal officials working to build a continuous footpath along the Appalachian Mountains. Stretching from Georgia to Maine, the A.T. is approximately 2,180 miles in length, making it one of the longest, continuously marked footpaths in the world. Volunteers typically donate more than 220,000 hours of their time doing Trail-related work each year, and about 2 to 3 million visitors walk a portion of the A.T. each year. For more information about the ATC’s Cullowhee 2013 or to volunteer, visit www.appalachiantrail.org/2013biennial. 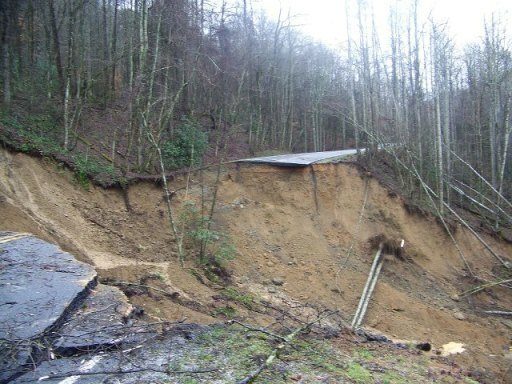 Great Smoky Mountains National Park officials have been working with the Federal Highways Administration (FHWA) to assess damage to Newfound Gap Road (U.S. 441) as a result of a January 16 landslide. The FHWA has completed their field survey work, and are now in the initial stage of preparation work to reconstruct the 200 linear feet of road. This first phase of work will include the stabilization of the slide, removal of landslide debris from the work area, and the completion of a path for construction vehicles to access the section of the slide below the roadway. The work is being coordinated by the FHWA and is expected to begin as early as next week. While the preparation work is taking place, the design of the road repair is in the development process. The road will be reconstructed as a reinforced full slope roadway. The design will allow for the drainage of water which will protect the road and park resources from future damage. 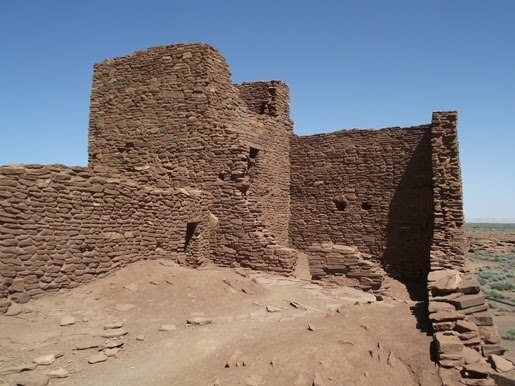 This second phase will begin when the initial site preparation work has been completed. A timeline of completion cannot be determined until the final design has been developed and approved. The park is moving forward on re-vegetating the three acre debris field with native species to aid in sediment and erosion control. This measure will prevent run off from draining into the Beech Flats Prong stream located just below the slide area. While the access from Gatlinburg to Cherokee will remained closed during the construction period, Newfound Gap Road has been opened from the Gatlinburg, TN entrance to Newfound Gap, and from Cherokee, NC entrance to Smokemont Campground. Visitors who want to sightsee and recreate in the park will still find opportunities through both entrances. The landslide occurred after a storm stalled out across the region. An in-park weather station near Cherokee, NC recorded 11.3 inches of rain between January 13th and January 17th. Are you considering a thru-hike of the Appalachian Trail this year, or maybe someday down the road? 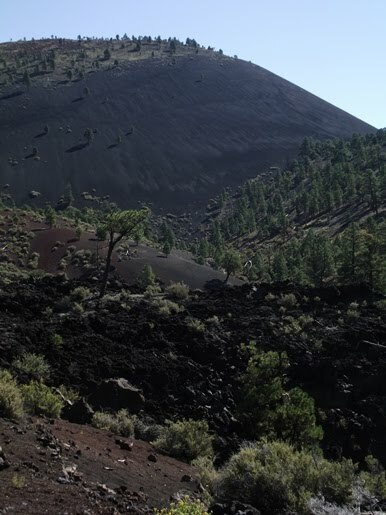 Want to learn the white blazes like the back of your hand? Join REI staff thru-hiker Wes Davis for a comprehensive class on the AT in Asheville on February 16th. This is your chance to learn about all of the logistics, gear, nutrition, seasoned tricks and tips. Get the best...and the worst of the trail. Class is limited to 20 people. 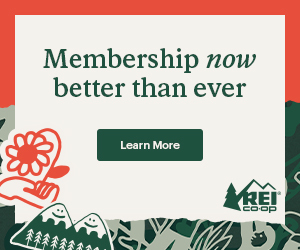 Payment is required upon registration: Cost for REI members is $25, non-members is $50. Lunch will be provided during the 5.5-hour program. Great Smoky Mountains National Park officials announced today that changes to its current backcountry reservation and permitting process will take effect on February 13, 2013. As reported last March, the National Park Service approved the park's proposal to begin collecting fees for use of the park's backcountry campsites and shelters. The changes include a $4 per person, per night fee for backcountry camping. The fee will be used to provide increased customer service for backcountry trip planning, reservations, permits and the backcountry experience. 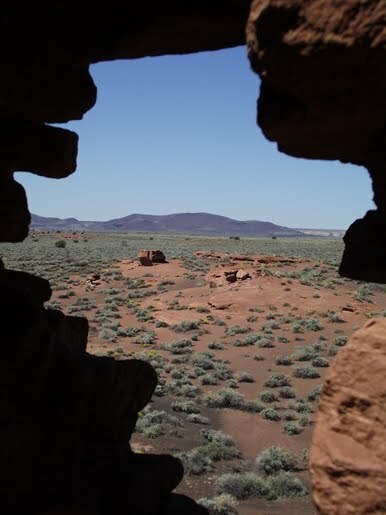 A park-specific reservation and permit system, to which users will have 24/7 access, will allow backcountry campers to make reservations and obtain permits online from anywhere internet access is available. Reservations may be made at any time up to 30 days in advance, allowing maximum flexibility for those making last minute plans. Backcountry users will no longer be required to call the Backcountry Office to obtain reservations. Reservation and permit requests will also be accepted in person at the Backcountry Office, which is located at the Sugarlands Visitor Center. Backcountry Office hours will be expanded with additional staff available to provide trip planning assistance both over the phone and in person. In addition, the park will expand its backcountry Ranger presence to better protect park resources through enforcement of food storage and other regulations and improved visitor education regarding Leave-No-Trace principles. For more information about the changes, please visit the management page or call the park's Public Information Office at 865-436-1207. For general backcountry information or backcountry reservations, call the Backcountry Office at 865-436-1297. On February 13, backcountry reservations and permits will be available at www.smokiespermits.nps.gov. Tis' The Season. No not Christmas, but vacation planning season. In case you haven't figured out where you're planning to go hiking during your vacation this year, let me offer two outstanding national parks to put on your radar: Glacier National Park in Montana, and Rocky Mountain National Park in Colorado. Just like the Great Smoky Mountains, both parks offer a wide variety of hiking experiences. After visiting Glacier in the early 1890s, John Muir said: "Give a month at least to this precious reserve. The time will not be taken from the sum of your life. Instead of shortening, it will indefinitely lengthen it and make you truly immortal. Nevermore will time seem short or long, and cares will never again fall heavily on you, but gently and kindly as gifts from heaven." 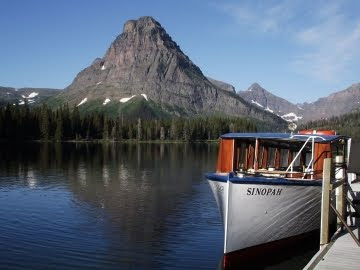 Glacier National Park preserves some of the most beautiful lakes, alpine meadows, pristine forests, rugged peaks and glacial-carved valleys in the world. Glacier’s diverse habitats are home to nearly 70 species of mammals, including grizzly bears, black bears, mountain goats, moose, wolverines, gray wolves, mountain lions and lynx. Glacier is also a hiker's paradise. 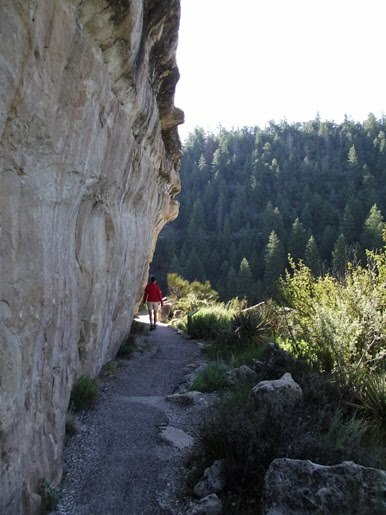 The park offers more than 740 miles of trails that lead to some of the most spectacular scenery on the planet. 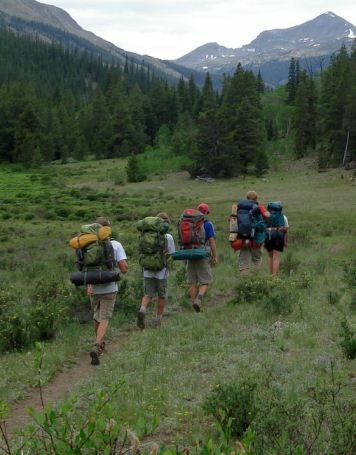 Rocky Mountain National Park is also one of the premiere hiking destinations in the country. The park offers more than 350 miles of trails, many of which explore the deep backcountry along the Continental Divide. Roughly one-third of the park is above tree-line, and more than 60 peaks top out above 12,000 feet - with 14,255-foot Longs Peak being the highest. 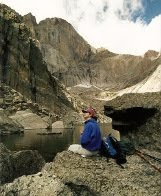 Rocky Mountain also has 147 lakes, roughly 450 miles of streams, and several small glaciers and permanent snowfields that can be found in the high mountain cirques. You should probably note that both parks are extremely popular destinations throughout July and August. As a result, accommodations usually begin filling up for peak season over the next few weeks. Personally, I prefer traveling to either park in early September when the weather is usually near perfect, and the crowds are pretty much gone. Join the Carolina Mountain Land Conservancy next Saturday, January 26th, for a hike to the picturesque Bridal Veil Falls in DuPont State Recreational Forest. Bridal Veil Falls and DuPont were prominent filming locations in the blockbuster movie, The Hunger Games. The hike will also include three of DuPont’s scenic lakes: Lake Julia, Lake Dense, and little known Lake Alford. Total hiking distance is 6 miles. 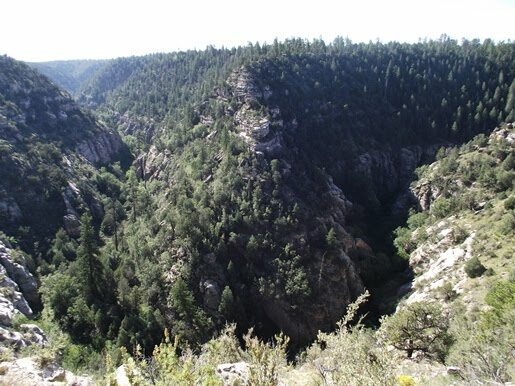 This hike is rated as moderately difficult, with a total elevation gain of 800 feet. Attendance is free and open to the public, but reservations are required. The latest CMLC newsletter also includes information on a new trail network in the Hickory Nut Gorge that the organization is working on, as well as the development of a plan to establish new greenways and river access points along the French Broad River which will connect to existing trails, greenways, and parks in Asheville, Fletcher, and Hendersonville. For the latest on everything going on with the CMLC, please click here. The Department of Environment and Conservation’s Division of Natural Areas will host two guided day hikes at Middle Tennessee natural areas on Saturday, January 26, including excursions to Short Springs in Coffee County and Virgin Falls in White County. Tennessee State Parks Area Manager Robin Wooten will take hikers on a three-mile hike via Busby Falls, Adams Falls and Machine Falls Loop trails. 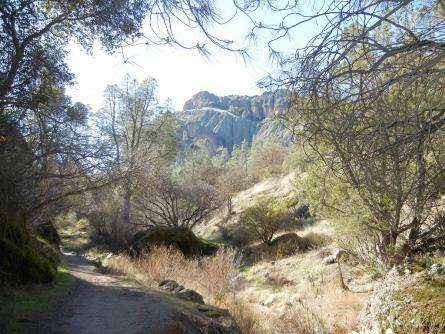 The trails have many ups and downs, creek crossings and beautiful waterfalls so hikers should be prepared for a slower-paced hike with gorgeous scenery. 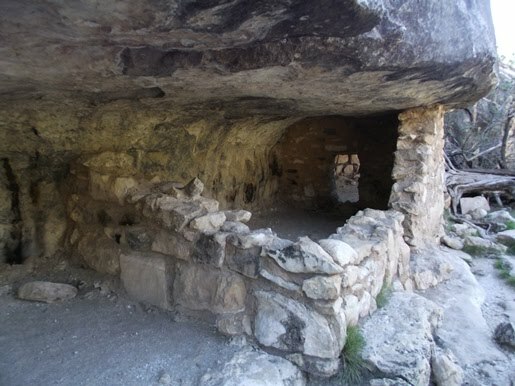 Following the main excursion, there will be an optional 1.5-mile Laurel Bluff Loop Trail hike. Participants should meet at 10 a.m. at the Short Springs State Natural Area trailhead parking lot, located approximately 3.5 miles northeast of Tullahoma. Short Springs State Natural Area’s biological diversity includes rich forest slopes and ravines, low cascades, springs and waterfalls. The Upper and Lower Busby Falls on Bobo Creek are two prominent cascading waterfalls that can be seen from overlooks on the Bobo Creek Trail. The steep escarpment, with its numerous wet-weather seeps, is particularly impressive during the moist winter and spring months. Hikers should arrive dressed for the weather. In addition to wearing layers of clothing and sturdy boots, participants should also bring lunch and plenty of water. Reservations are required by January 24 and can be made by contacting Robin Wooten at (931) 239-0065 or at Robin.Wooten@tn.gov. For information about Short Springs, including a map of the area, please click here. Stewardship Ecologist Forrest Evans will take hikers on a journey through the scenic beauty of one of Tennessee’s best-loved hiking trails. The strenuous eight-mile trail to the falls descends off of the Plateau and meanders along a creek, passing caves, sinks and waterfalls. Hikers will have lunch at the falls, which offers remarkable views. The trail then backtracks up and out of the gulf to the parking area. Participants should meet at 7:30 a.m. at the Nashville Kroger parking lot located at 5544 Old Hickory Boulevard (near Summit Medical Center) in Hermitage. Participants will carpool and caravan to the trail head. Hikers should arrive dressed for the weather. In addition to wearing layers of clothing and sturdy boots, participants should bring lunch and plenty of water. Reservations are required by January 25 and can be made by contacting Forrest Evans at (615) 532-0431 or Forrest.Evans@tn.gov. Consult a weather report before the trip, as the hike will be canceled in the event of rain or predicted rain. Virgin Falls is a 1,157-acre natural area located adjacent to the Bridgestone Firestone Centennial Wilderness in White County. 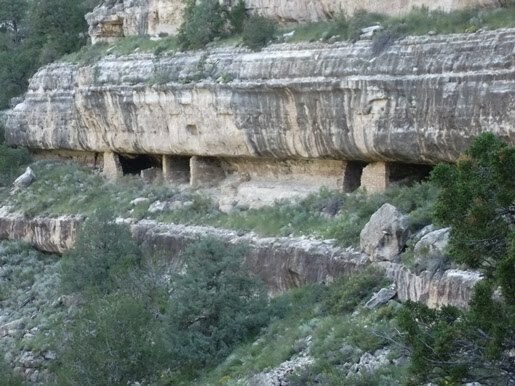 The natural area is named for Virgin Falls, which is formed by an underground stream that emerges from a cave, and then drops over a 110-foot high cliff before disappearing into another cave at the bottom of the sink. For information about Virgin Falls, including a map of the area, please click here. The U.S. Forest Service National Forests in North Carolina is encouraging drivers to stay off all Forest Service roads in the Pisgah and Nantahala National Forests until the storm passes. Heavy rain has produced mudslides in the two national forests. Travel conditions are also dangerous because of the potential for washed out roads and flooding, downed trees and other hazards. Road closures thus far include: Fires Creek, Tuni Gap and Tatham Gap roads on the Tusquitee Ranger District, Nantahala National Forest. Additional roads closures may be forthcoming today or tomorrow across the two national forests. 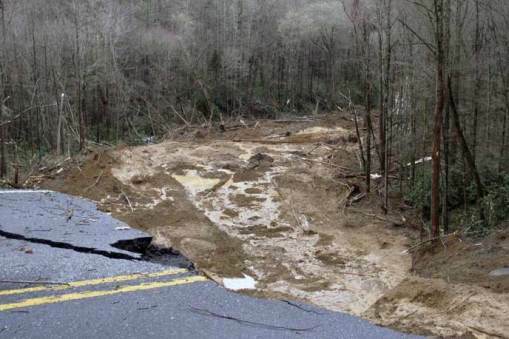 In the Appalachian Ranger District, Pisgah National Forest: Twelve Mile Road in Haywood County is mostly blocked because of a mudslide; and Forest Service Road 288 is flooded. The two roads are not officially closed, but travel is discouraged. 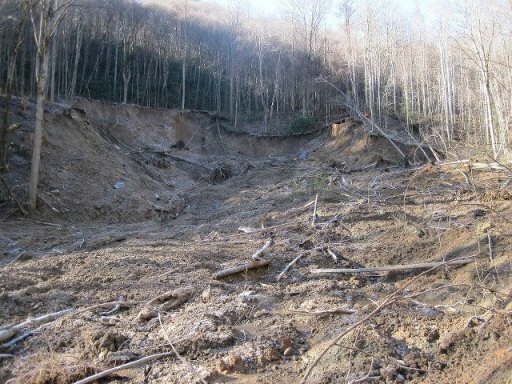 The first assessment of the landslide which occurred in Great Smoky Mountains National Park along Newfound Gap Road in North Carolina shows that the landslide is approximately 90,000 cubic yards of material or 350-400 feet. It is around the length of a football field and 45-50 feet deep. The slide is still active and an assessment team, made up of Park Staff and Federal Highways employees, observed debris continuing to fall. The park still does not have an estimated time frame for the road to be open. 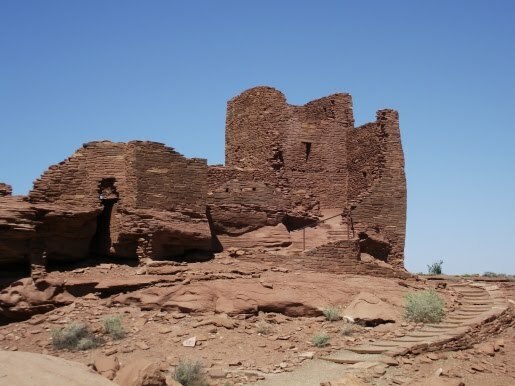 Federal Highways and park staff are continuing to look at the site to assess options for repair and is hoping to have a rough estimate of a sometime in the next week. Inclement weather is expected over the next few days which may hinder the assessment team. Further updates on the road condition will follow as details are determined. The body of an overdue hiker, a man about 50 years of age, was found by rangers at Tricorner Knob Shelter in the Great Smoky Mountains early yesterday afternoon. The hiker left Newfound Gap on Saturday morning, intending to hike 30 miles along the Appalachian Trail to Davenport Gap in North Carolina. He was reported overdue by a friend on Monday afternoon when he failed to show up at Davenport Gap. Rangers began an investigation and were searching trails in the area when the discovery was made. Rangers are investigating the incident with the assistance of the Swain County Medical Examiner’s Office. The cause of death does not appear to be suspicious. "Lordy, that's as red as the devil's britches," exclaimed a local rancher, awed by the vibrant canopy ablaze on what is now known as the Devil's Britches Trail. 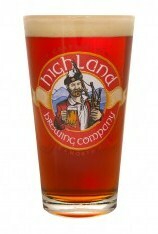 The Highland Brewing Company will be commemorating the history of the Great Smoky Mountains and the Devil's Britches Trail with the release of a new rich, red IPA. On Friday, February 1st, the Asheville brewery will be throwing a release party for their new seasonal, Devil's Britches IPA. Like their other seasonal brews, Devil's Britches is named for a feature of the Southern Appalachian landscape. In addition to the release party, Highland Brewing will be teaming up with the Southern Appalachian Highlands Conservancy and the US Fish & Wildlife for a guided hike. Devil's Britches, at beautiful Cataloochee Ranch, is an easy to moderate hike and covers about four miles of up and down trail. Hikers will enjoy fine vistas of the Plott Balsam Range, Hemphill Bald and Soco Gap. The group will start out on the Ski Lodge Road then turn down on the Bunchberry Trail until it junctions with the Devil’s Britches Trail. Along the way you'll learn about winter tree identification from SAHC Field Ecologist, Chris Coxen. Devil's Britches wanders through hemlock, rhododendron, cove hardwood and lovely patches of Galax, wintergreen and Christmas ferns. Lunch will be at Todd’s Folly rest area and the return is downhill on Pine Tree Gap Rd. Organizers ask that you bring water, camera, warm clothing, good hiking shoes, and lunch. The hike is FREE for everyone, but please RSVP to Rich at rich@appalachian.org or by calling 828-253-0095 ext. 205. A landslide along Newfound Gap Road near mile marker 22 has caused an extended closure of the road. Great Smoky Mountains National Park has closed Newfound Gap Road (U.S. 441) due to a landslide which undercut the road near mile marker 22 between Collins Creeks and Webb Overlook at 9:40 am. The slide is estimated to be a 200 foot section of road extending 1000 foot down slope, but the full extent of the damage is not yet known. The closure is expected to be in effect for an extended period of time. The park is evaluating the remainder of the roadway, but anticipates Newfound Gap Road will be opened to visitors from the Gatlinburg Entrance in Tennessee to Newfound Gap Parking lot as soon as it is possible. The road will be open to Smokemont on the North Carolina side. Park staff are working with the Department of Federal Highway’s Construction and Geotechnical Services to evaluate the slide damage and to begin planning for repairs. Additional details will be released as the condition assessments are analyzed. As of midnight, Tuesday, January 15, the park received 8.56 inches of rain measured at Cherokee, 7.4 inches at Newfound Gap and 6.86 inches at LeConte. Rivers and streams have been running fast and high since Sunday when the rains began. More rain is expected for the area today and tomorrow. For the most current road closure reports, please call 865-436-1200 x 631 or follow SmokiesRoadsNPS on Twitter. The Tennessee Department of Environment and Conservation (TDEC) announced today the launch of its new Geographic Information System (GIS)-based site that provides up-to-date interactive maps and information about recreational opportunities at Tennessee State Parks and natural areas. 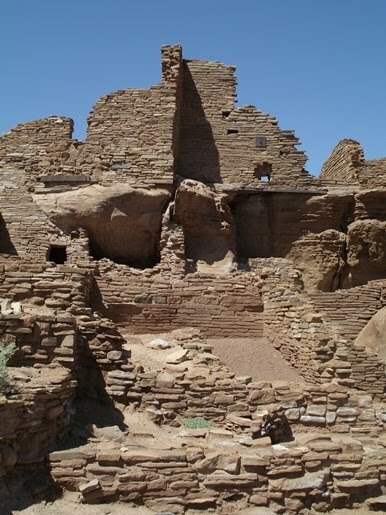 Plans are also under way to incorporate GIS information about state historical and archaeological sites in the future. The new application offers an easily navigable portal to access a map of TDEC-managed lands. This GIS-based internet mapping system has been integrated into TDEC’s existing infrastructure to provide a wealth of geospatial information, including core GIS tools, templates and applications. These new interactive maps and layers also are designed to help TDEC improve operations and communicate more effectively with the public, while saving both time and money. * Customized Icons – Information about state parks and natural areas are just a click away, using individual icons. 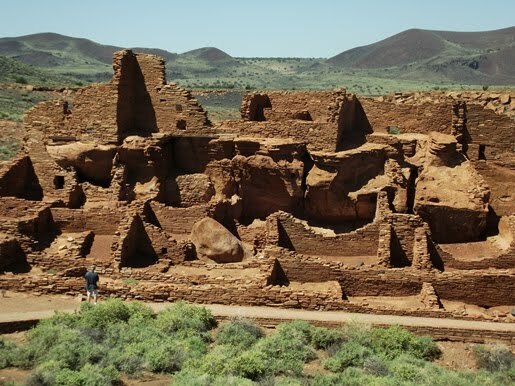 Basic information about a particular area includes an address, with more in-depth details such as hiking trails, accommodations and local amenities offered. The customized icons also provide a link to an individual park or natural area website. * Search Function – The search function allows the public to easily access recreational areas across the state within 20 miles of a particular address and to receive directions to those particular sites. The search function also allows the user to search by the name of a particular park, natural area or site or by a specific activity – from fishing to kayaking to camping. A slow moving storm is causing flooding in the park. Several park roads are closed. Hikers should exercise caution in the backcountry due to swollen streams and rivers. The park is home to at least 11 species of bats that play a critical role in the health of ecosystems by consuming insects including mosquitoes and agricultural insect pests. One of the species in the park, the Indiana bat, is federally endangered and another, the Rafinesque's big-eared bat, is a state listed species of concern in both Tennessee and North Carolina. If you see a bat or any other wild animal that is acting strange and you suspect it may be sick or injured, avoid the animal and contact Park Communications at 865-436-1230. Unusual bat activity outside the park should be reported to state wildlife agencies. The National Weather Service has issued a flood watch for most of North Georgia that is in effect through Wednesday. Soils are wet due to recent rainfall, and periods of heavy rain are expected to continue. Flooding of streams and low-lying areas, including forest roads and recreation areas, will be possible. Before visiting the forest, check the Current Conditions page and Alerts & Notices for road and campground closures. Be alert for heavy rains, especially overnight. Low-lying areas can become death traps in a matter of minutes. Never attempt to drive over a flooded road. The road bed may be washed out under the water, and you could be stranded or trapped. Your safety is your own responsibility. In many areas of the forest, use of cell phones and digital data services may be limited. Back by popular demand, the Swannanoa Rim Explorer hiking series will continue again this year. This is the fourth year in a row that the Swannanoa Valley Museum, in Buncombe County in Western North Carolina, will be offering their year-long hiking series. The Swannanoa Rim encompasses the ridgelines of the upper Swannanoa Valley that surround Black Mountain. The program offers experienced hikers the opportunity to explore remote and little traveled territory while learning much about the history, geography, hydrology, and environment of the Swannanoa Valley. This year there will be eleven hikes that will take place on the third Saturday of each month. 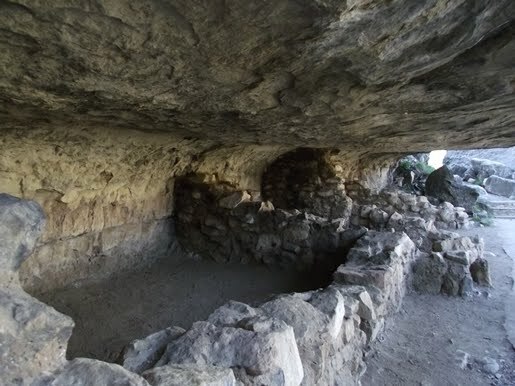 The first hike is scheduled to take place on February 16th, and will cover the Weatherford Heights segment. If interested in finding out more information, there will be an orientation meeting on Thursday, January 17th, at 7:00 pm in the Black Mountain Savings Bank Conference Room at 200 East State Street in Black Mountain. This will include a presentation by knowledgeable guides, as well as advice from some of the intrepid hikers who have completed all 31 miles of the Swannanoa Rim. The cost for each hike is $25 for members, and $45 for nonmembers. If you reserve the full year by January 31st, you'll receive a 10% discount. During the orientation meeting the museum will also highlight their new Waterfall Hiking Series, as well as several other annual events. For more information and to register, call the museum at 828-669-9566, send an email to info@swannanoavalleymuseum.org, or click here. 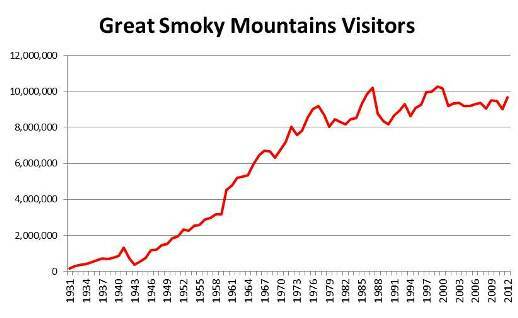 The Great Smoky Mountains National Park saw its highest number of visitors since 2000. This past year the park recorded 9,685,828 visitors, which represents a 7.5% increase over 2011. Visitation for the 2012 year was also the seventh highest in park history. 1999 still ranks as the busiest season in Smokies history, when 10,283,598 visited the park. 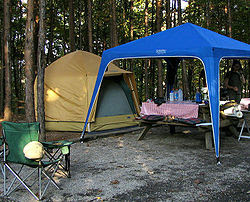 The number of tent campers increased by 4.8% versus 2011, however, the number of backpackers dropped 13.6%. I wonder if this was a result of the contentious debate with regards to backcountry camping fees, which were approved back in March. Is there an informal boycott going on within the backpacking community? Christmas and New Year’s Eve are in the rearview mirror, and it’s time to find some January activity. Pigeon Forge’s Wilderness Wildlife Week fills the bill with an eight-day focus on Great Smoky Mountains National Park and the outdoors in general. The 23rd annual Wilderness Wildlife Week is Jan. 12-19. Programs, all of which are free, are at the Music Road Hotel Convention Center. On tap are 304 workshops, lectures, panel discussions, mini-concerts, hikes and excursions to America’s most visited national park and a variety of other outdoor destinations and topics. While the vast majority of Wilderness Wildlife Week programs are indoors, there are 44 hikes and excursions on the calendar. They range from a photo trek in Cades Cove, to a four-mile walk through the Elkmont historic district, to a strenuous 11-mile hike to Mt. Cammerer. Round trip transportation to the hikes’ trailheads is provided. Of the 260 programs, 142 are new for 2013, and the lineup is different every day. Among them are “Wonderful Waterfalls of Tennessee,” “Being Bear Smart,” “Searching for Panthers in the Smokies,” “Wild Hog Management in Great Smoky Mountains National Park” and “Advanced Possomology” (songs and stories about possums presented by folklorist Doug Elliott). There are 32 special programs about the heritage of the Great Smoky Mountains. Among them are programs about the Civilian Conservation Corps and its impact on the national park. Nineteen programs are designed especially for children. Their topics include the basics of outdoor photography, learning to hike, what’s special about owls and knowing how to behave if you encounter a bear. There is a series of nature photography workshops – both about taking pictures and editing images – led by some of the region’s most accomplished photographers. More than 200 experts – nature photographers, biologists, raptor rehabilitators, social historians, musicians and just plain folks who grew up in the Smokies – donate their time to lead Wilderness Wildlife Week programs. Wilderness Wildlife Week in 2012 drew people from 33 states, Washington, D.C., Canada, England and New Zealand. Wilderness Wildlife Week, named 10 times as a Southeast Tourism Society Top 20 Event, is a part of Pigeon Forge Winterfest, which starts in November and goes through February. Pigeon Forge completes Winterfest with Saddle Up, a celebration of cowboy poetry, western music and chuck wagon cooking, Feb. 21-24. Wilderness Wildlife Week details, including the program schedule and hike information, can be found here. For more information on many of the trails included on this year's schedule, please click here. To find a cabin or chalet in the Pigeon Forge area, please click here. For anyone that might be interested, there are only three spots available for the upcoming program, Cold Weather Backpacking Basics, which will be held at the REI in Asheville next week. This show and tell class will cover backpacking essentials: choosing a backpack, selecting proper clothing, gloves, socks, the right footwear, tips on staying warm, and understanding the basic gear you need to reach your destination. The program will be held on Wednesday, January 16th, from 7:00 to 8:30 pm. For more information, and to register, please click here. The Sugarlands Visitor Center will remain open to the public as it receives much needed renovations January 7 through March 31, 2013. 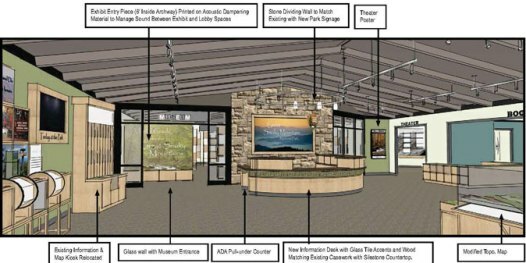 The renovations will improve the layout of the main lobby and visitor contact area to better serve the 850,000 thousand visitors that come through the visitor center annually. The new visitor contact area will create a sense of arrival and enhance visitor orientation as visitors are provided park information and directed to interactive exhibits that introduce them to park resources. Along with lighting system improvements, the new visitor information desk and exhibits will be laid out to have more open space allowing for better circulation and overall accessibility. New interactive exhibits in the lobby will focus attention on natural resource challenges like air quality and forest health. In addition, access to the popular natural history exhibits in the existing museum will be improved. Sustainable products will be used in the renovations.